There is one simple pike rig that works well on rivers. It is virtually tangle free and will catch Pike in all but the weediest of swims. That rig is the humble running rig. For river Pike fishing, thread your main line through the eye of a flat pear lead (or similar) and tie on a snap link. Attach a trace to the snap link and the rig is ready to go. If the rig is pulled along the bottom by the flow of the river, change the weight for a heavier one. The running rig is a simple Pike rig that is easy to understand. When a fish takes the bait, it pulls the line through the eye of the weight causing a bite. At this point you could stop reading, go fishing and stand a good chance of catching. But if you would like to improve your chances with the running rig, then please read on. The lead weight in this rig serves two purposes. First it adds weight to the rig to help cast the bait to the desired spot. If your desired spot is further out, then a heavier weight may be needed. Secondly the weight will hold the rig and bait in place against the flow. The stronger the flow the bigger the weight needed to anchor the rig. Is it then safe to say, just use a big weight on all occasions? Short answer; no. The more natural a deadbait feels to a Pike, the more Pike you will catch. When the bait is taken, the fish should not feel anything from the rig. Pike are very instinctive and if the bait feels wrong, they will drop it. To rely on the main line always freely pulling through the eye of the weight, is to assume a perfect take, in perfect conditions, every time. This simply cannot happen. 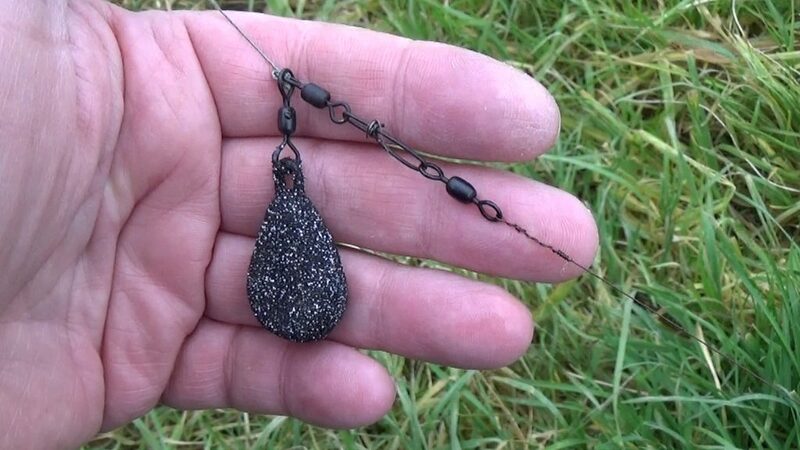 Lets imagine fishing a river where a 1oz weight is not quite enough to hold bottom in the flow. So you up the weight to 1¼oz, which is just enough to stay in place. Now imagine a Pike picks up your bait, but the line does not slide through the eye. Instead the weight will lift off the bottom, will the Pike feel the weight? In my experience, not enough to worry about. This is because the same current that was enough to move a 1oz weight is still there. Of the 1¼oz we are now using, 1oz is taken up by the force of the current. The fish should only feel the extra ¼oz. I appreciate this is simplifying the matter somewhat, but the point is not to solely rely on anchoring the weight in the hope the line will always pull through. The point is to add another option to cause a bite, by allowing the weight to move. Because your bobbin or bite indicator will always hold the line taut to the weight, any movement of the weight will cause a bite. Now we have a rig that can show a bite when the line is pulled or the weight is disturbed. Our simple Pike rig is more sensitive and still difficult for the Pike to detect.